Brand: CK Products 78-300Z Units: 1 lb. 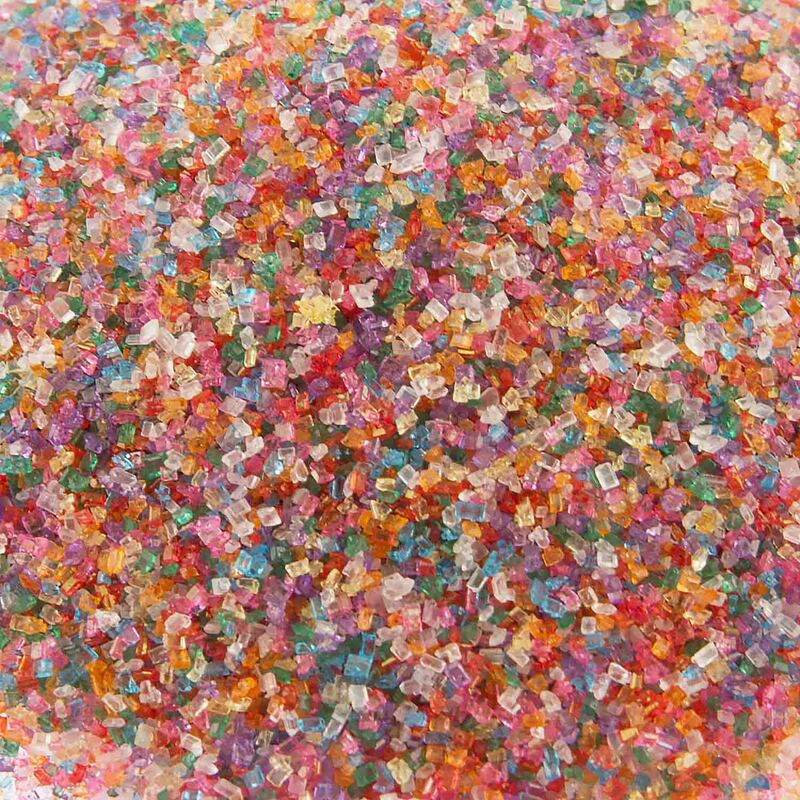 bag Sanding sugar gives cookies, cakes and confections a beautiful sugar sparkle. Sanding sugar is slightly coarser than traditional granulated sugar and has more sparkle. Sanding sugar gives cookies, cakes and confections a beautiful sugar sparkle. Sanding sugar is slightly coarser than traditional granulated sugar and has more sparkle. Ingredients: Sugar, Carnauba Wax, Confectioner's Glaze, FD and C Yellow 5, Red 3, Red 40, Blue 1, Yellow 6.